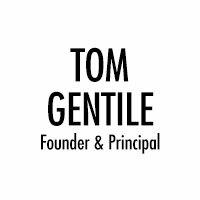 Tom Gentile began his career in commercial moving operations at Neptune Worldwide Moving in 1981, working in the Company’s dispatch department. Soon after, he was promoted to manager of local traffic, where he was responsible for the daily dispatch and operation of more than 100 men and 23 trucks. Having proven himself in local traffic, Tom rose rapidly at Neptune. He was promoted to Manager of Neptune’s Greenpoint Facility, the largest commercial “barn” in New York City where his responsibilities included the management and operation of more than 300 men at multiple commercial job sites every weekend. In 1985 Tom was promoted to Neptune’s Regional Manager, responsible for operations in New York, New Jersey and Connecticut. In 1986 he was again promoted, this time to the key position of Regional Vice President, the youngest person to have ever attained the position. Then, in 1987, Tom left Neptune and joined Commercial Movers as Vice President of Operations, where he grew sales by 300%. In 1991 Tom became a partner at Skyline Mayflower where he quickly established a reputation for successfully managing installations of furniture, fixtures and equipment for hotels. Unfortunately, a few years after joining the company, Tom’s partner, a well-known expert in hotel installations died unexpectedly. In response, Tom formed American Moving & Storage, which quickly became the largest and most respected hotel furniture, fixture and equipment installer in and around greater the greater New York region; a reputation and track record the company continues to maintain.